Canyon Heights Academy hosted its annual Science Fair on Friday, January 22 in rooms throughout the school. Individual projects from grades 3 through 8 showcased scientific concepts as varied as how car design impacts speed, the effect of soda on teeth, after-image with varying eye color and how sound affects driving focus. The purpose of the science fair has always been a way for students to explore the world around them and design a project to answer their questions about it. The students follow the scientific method as they complete projects in the subjects of earth, life and physical sciences. As they follow the scientific method, skills such as reading and research, writing, spelling, grammar, math, statistics, ethics, logic, and self-learning of one or more specialty fields are incorporated. The Overall Winner for the 2015 Science Fair was a project exploring environmentally safer options for effective windshield washer cleaners. 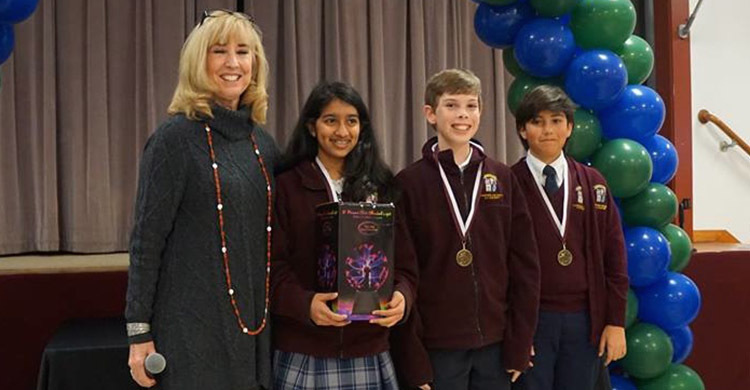 Twelve Middle School student projects will move on to the Santa Clara County Synopsis Science Fair for city-wide competition in the various scientific categories.